Well, here we are at last. Years of movies with tag scenes promising the arrival of an Avengers movie have finally delivered on that promise—and this is it. Was it worth the wait or the build-up? That depends on your level of interest in this sort of thing, I suppose. Despite the inane gush of Those Who Object to Being Called “Fanboys,” this is not the greatest movie ever made, nor does it reinvent cinema. That said, however, it’s a solid entertainment and much better than I’d expected from the maestro of midcult, Joss Whedon. Oh, sure he places the film firmly in the realm of his usual sitcom sensibility, and the gags become transparent in their structure once you get into the rhythm of the movie, but this is probably the best possible approach for a movie like this. The sheer volume of characters calls for a kind of cinematic shorthand—and that’s what it gets. The film’s story is about as substantial as all the tissue wadding in a box concealing a small treasure at its center. What else could it be? All that matters, of course, is that the film has a problem—meaning the Earth has a problem—which calls for amassing a large array of superheroes (and a couple of borderline cases) to save our hash. That, naturally, is why Nick Fury (the irreplaceable Samuel L. Jackson) has been assembling all these folks as part of S.H.I.E.L.D. (Strategic Homeland Intervention Enforcement and Logistics Division) all this time. The issue this round is the evil Loki (Tom Hiddleston—the second best thing in the movie) is preparing the way for an invasion of creatures from another dimension that will leave him (he thinks) ruler of a subjugated Earth. 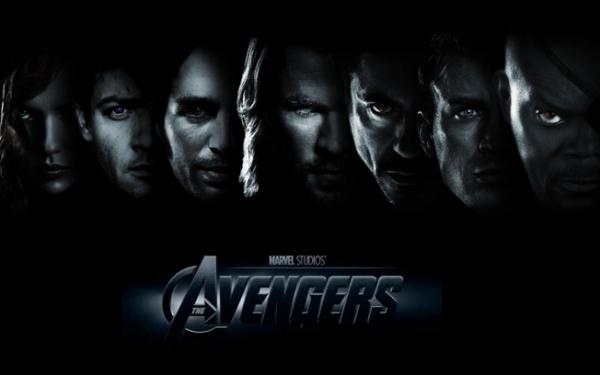 As an excuse for cramming one movie with Tony Stark/Iron Man (Robert Downey, Jr.), Steve Rogers/Captain America (Chris Evans), Bruce Banner/The Hulk (Mark Ruffalo), Thor (Chris Hemsworth), Natasha Romanoff/Black Widow (Scarlett Johansson) and Clint Barton/Hawkeye (Jeremy Renner), it’s as good as any other. Just think of it as the Contadina Tomato Paste of film—or Grand Hotel in tights—and don’t ask too many questions. The whole thing banks—wisely—on its cast. Especially helpful here is the importation of Mark Ruffalo as Bruce Banner, a character never really nailed in any previous incarnation—and here represented by an actor of considerably greater charm and innate sympathy than any of his predecessors. But in the end, it’s the ensemble nature of the playing—something that gets off to a deliberately rocky start—that finally makes the story work. The film’s biggest problem—and some will consider this in the nature of a spoiler, so you might want to skip the rest of this paragraph—is that its big finale ends up being most awfully like last year’s Transformers: Dark of the Moon. It’s certainly better done here, but the similarities are inescapable. This might well be completely coincidental, which only points up a central issue with the genre’s limitations and the fact that all such movies have to hit certain key scenes—notably a big final battle that more often than not outstays its welcome for anyone who tires of endless property damage. It doesn’t sink The Avengers, but it does diminish it. Take it for what it is—big, splashy, largely transitory entertainment. Rated PG-13 for intense sequences of sci-fi violence and action throughout, and a mild drug reference.